This hardware store manager has been baking since he was a kid. These days, he's particularly interested in chocolate. "I always have, like, 50 pounds of chocolate sitting around my house." "I always have, like, 50 pounds of chocolate sitting around my house." In butter tarts, raisins or no raisins? "Raisins." Tim Chauvin's interest in baking goes back to his childhood in Southern Ontario, watching his mother bake at Christmas time. "When I was little, spending time with my mother in the kitchen baking [for] Christmas...was always a wonderful time for me," he says. "I love that [baking] allows me to express myself and explore my creativity. I also love how it can bring people from all walks of life together." These days, Tim bakes for his fiancée, Sarah, with whom he shares a house and two cats. He also bakes for his colleagues at the local hardware store in Brockville, Ont., where his creations are a highlight of staff potluck lunches. Baking is Tim's major hobby and he's particularly interested in working with chocolate. "I love trying to incorporate chocolate into everything I do," he says. "For my audition, I did a chocolate peanut butter cheesecake, with homemade peanut butter cups on the top. I always have, like, 50 pounds of chocolate sitting around my house." 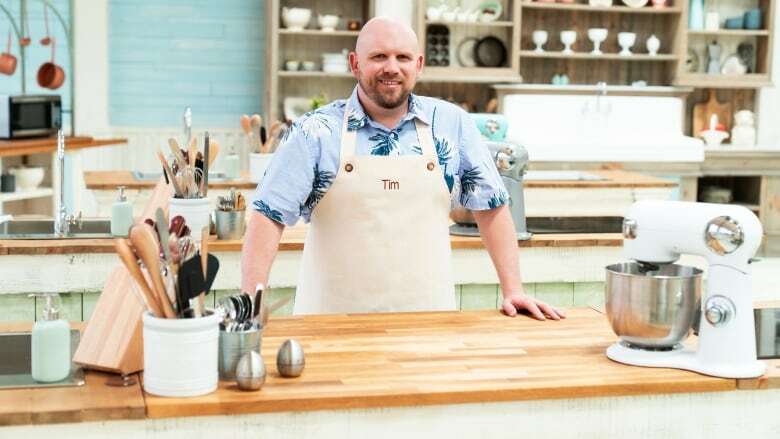 Tim sees The Great Canadian Baking Show as his chance to share his gift with the world. "This is my one chance to show the world what I have to offer," he says. "To share my love of baking with everyone."